Geoff is a founder and partner of the educational technology accelerator Imagine K12. He is also a partner at Y Combinator. Geoff is a prolific angel investor and advisor to start-up companies, mostly in the San Francisco Bay Area. Geoff was the Chief Executive Officer of Lala Media, Inc., a music start-up purchased by Apple. Earlier, Geoff worked at Yahoo! 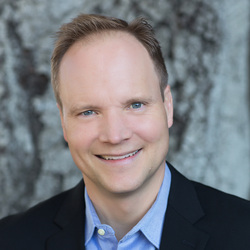 where he was Senior Vice President and general manager of the Network Services Business Unit and later served as the company's Chief Product Officer.